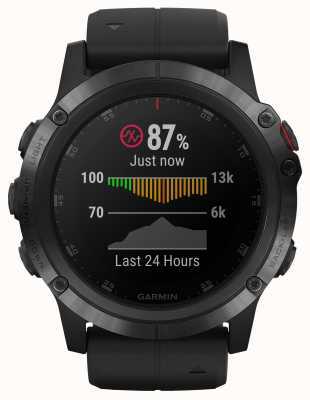 The only choice of the athlete, and a great-looking watch for the gadget- lover alike, the Fenix 5 Plus is simply breathtaking, and the more compact proportions make this model even more comfortable on the wrist. Styling is right on the money with a titanium bezel, orange rubber strap, and full-colour display with customisable fascias. ​​Features: European topographic maps, payments via your watch, music via bluetooth, activity profiles for multiple sports and adventures, performance widget for stats at your fingertips, GPS/GLONASS navigation, altimeter, 3-axis compass, heart-rate monitor, interchangeable wrist bands, lactate threshold and other monitors, ascent and descent running tracking and more. Please note: Outside of the UK, the duration of the manufacturer's guarantee may be different and therefore you may need to return your watch to First Class Watches in order to get the full guarantee. 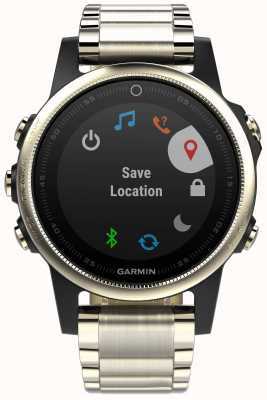 First Class Watches USA are Garmin watch retail partners so you can be assured your sparkling new watch will arrive with a stamped manufacturer's warranty, packaging and instructions. 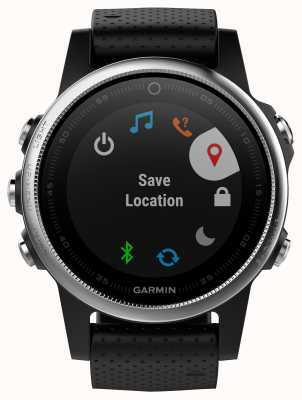 Recently purchased this Garmin watch after exhaustively researching lots of smart watches on the market. Finally chose this model as it had the right combination of features and premium build quality. Rugged, but still stylish. Impressed with First Class Watches customer service, negotiated a very competitive deal and received the watch within 48hrs. Well packaged, arrived safely too. Would recommend the watch! A huge step up from the Fenix 3 HR that I used previously. 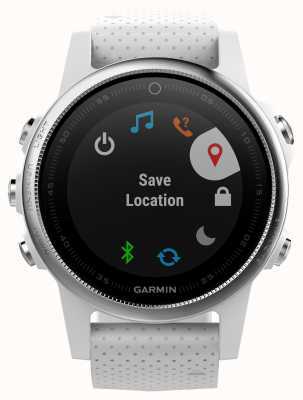 The UI is typically Garmin, and may take new users some getting used to. However, the design is brilliant - it looks so much better than the previous offerings. In terms of performance, the GPS is fantastic - it gets a lock in less than 5 seconds, but does suffer from the traditional issues with trees etc. Activity tracking is also a huge step forward, now logging daily cycling/walking. Battery life seems reasonable, even if Garmin forums say differently for the first time it's used.. In short, a great watch and worth the money if you're really into your sport. So far, this is a great watch, I've replaced my Apple Watch Series 3 and I'm not missing it. The Spotify app is perfect, as I can download playlists and not have to worry about having a phone with me when running. The battery life is great, it's only dropped 32% in 5 days. Also, great delivery service from First Class Watches, ordered on the Saturday afternoon, on my wrist by Tuesday lunch time! Exceptional customer service and speed of response via the ‘make us an offer’ function. Won’t be beaten on price compared to other online retailers and item arrived next day - couldn’t be more satisfied. 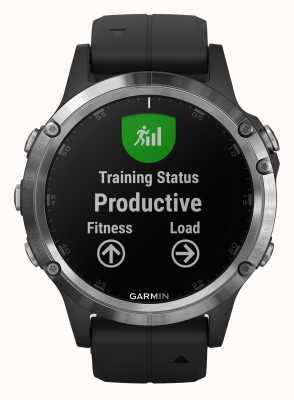 Purchased Garmin 5 plus to try and add some science into improving my training. Great piece of kit with loads of useful gadgets but only just received and learning how to add music which seems little more complicated than expected. Overall very pleased. 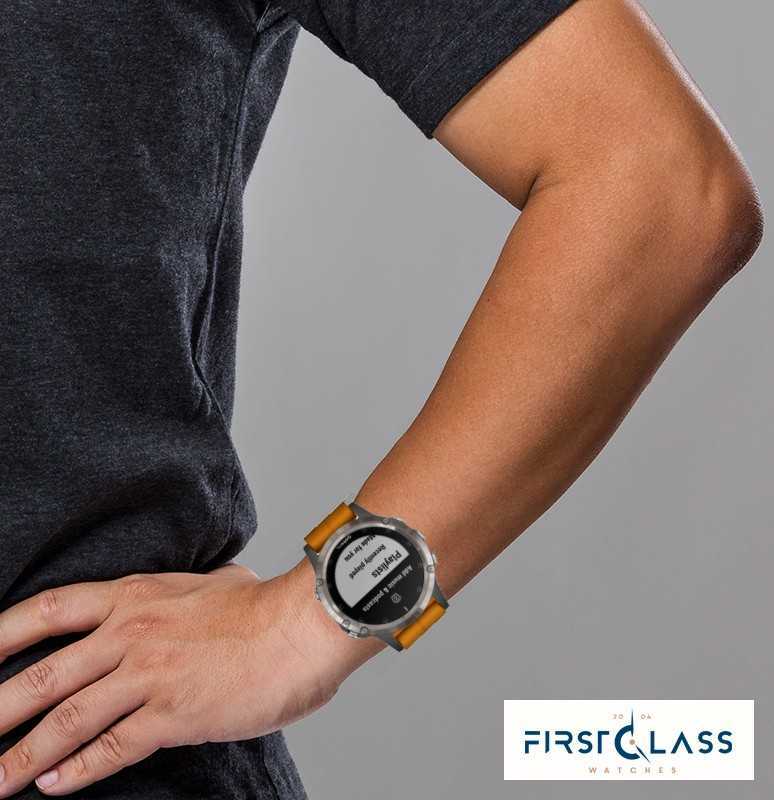 Really great service from First Class Watches and at the right price. Delivery of the watch if researched for some time was prompt and the watch itself is really fantastic. It has a wealth of features that make it stand out and make it suited to many, many activities. Whether you buy because you are a seasoned pro or that you realise that ‘what gets measured gets done’, this watch will inspire, motivate and measure your progress every step of the way. Brilliant watch, and great service from FCW, at a great price. Much cheaper than else where online. Very fast delivery as well. 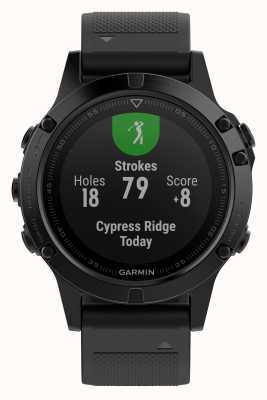 Another great watch from Garmin. 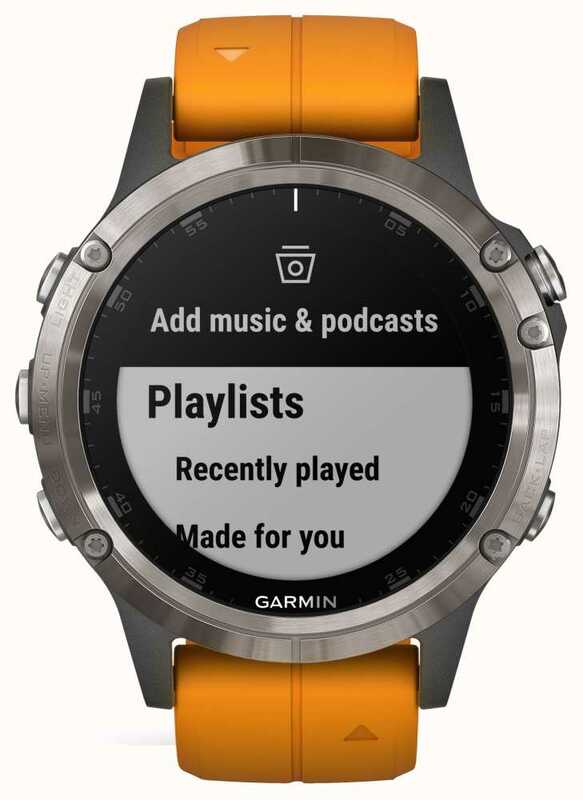 Still does what's most important ie fitness focus first, but added some real gems such as contactless payments, music which I use as audiobook/podcast listener and turn by turn maps navigation. Worth the upgrade from fenix 3. Nervous about buying online for a high value item but customer service and whole process was seamless and easy. Great price too during black Friday event. 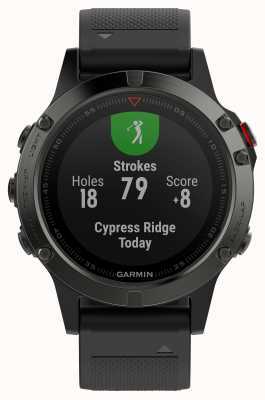 Would recommend both garmin and first class watches! Great service, first time customer and the transaction was faultless. Regular email updates giving me the status of my purchase. The Watch arrived bang on time and is a wonderful piece. I would recommend First Glass Watches. Firstly the purchasing experience through First Class Watches was just excellent. Although I had limited presales contact they understood my needs and offered me exactly what I wanted and more. 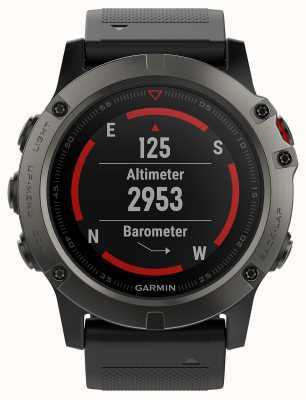 Not only that by my new shiny Garmin Fenix 5 Plus was delivered to my local post office the very next day. I have no hesitation what so ever in recommending First Class Watches. As for the watch itself……I have had quite a few Garmin (and Sunnto) watches over the years. 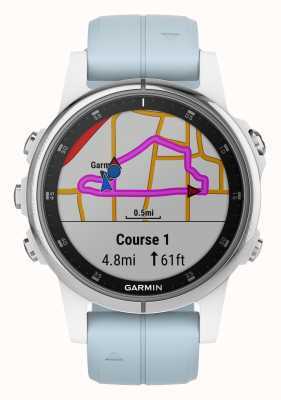 I have yet to put this to any real test as a sports watch (for running and hiking). 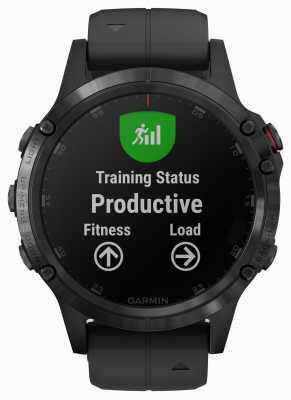 However, as a wearable device Garmin have finally come up with something that is lightweight, less bulky and properly connects with the rest of the world. Music playback to Bluetooth connected headphones is great. 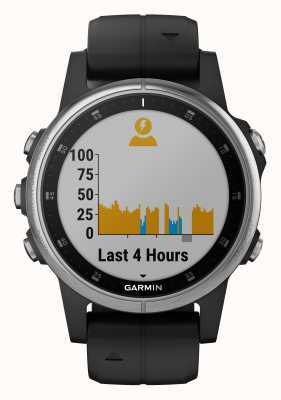 Pairing the watch with my phone, headphones and speed sensors (non Garmin) and even connecting to the home Wi-Fi has been painless. In fact the only problem I have encountered is with the Garmin Tempe temperature sensor previously paired with a Garmin Epix refuses to pair…one for Garmin support there I think. The flexibility to customise activities and widgets is impressive. The list of available applications increases to grow, many are free which is a good thing because some are perhaps not as useful or robust as others. 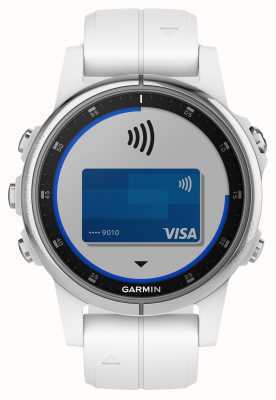 At the time of writing there are a limited number of banks that support Garmin Pay, I hope that will change over time and some of the more mainstream banks sign up. That’s not really the end of the world though. 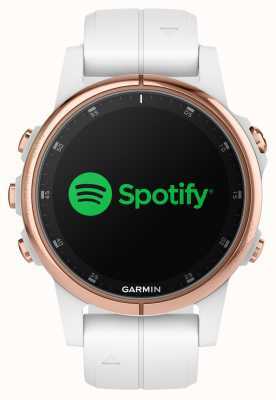 I just wanted a watch that I could run with, play music and wear every day. 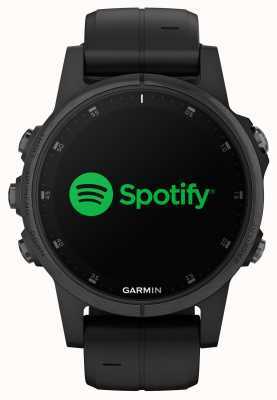 Sure there are other more cost effective watches on the market, that claim to be all that the Fenix 5 Plus is and more, but in my experience even direct competitors (like Sunnto) don’t come close. Buy cheap…buy twice!